A leader in distance education since 1897, American School now offers online diploma programs to go along with its existing paper-based diploma programs. This is a watershed moment in American School's long and glorious history. American School is pleased to announce the launch of two online diploma programs which will add to its 118-year tradition of offering students the accredited high school courses they need at a cost they can afford. Popular electives for students in the College Preparatory Program include fine arts and world language courses, including ten world language courses offered through a partnership with Rosetta Stone, among others. While American School is excited to offer online diploma programs, it has no plans to discontinue its popular paper-based courses and diploma programs which have helped more than three million students around the world graduate from high school. To enroll in one of American School’s online or paper-based diploma programs, visit http://www.americanschool.org/enroll or call 866-260-7221. 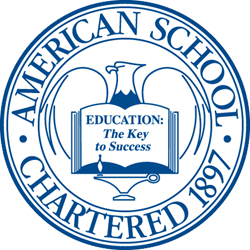 American School is accredited by the Middle States Association of Colleges and Schools/Commissions on Elementary and Secondary Schools (MSA-CESS), Ai (Accreditation International) and NCPSA (the National Council for Private School Accreditation) and is recognized by the State of Illinois as a non-public high school.